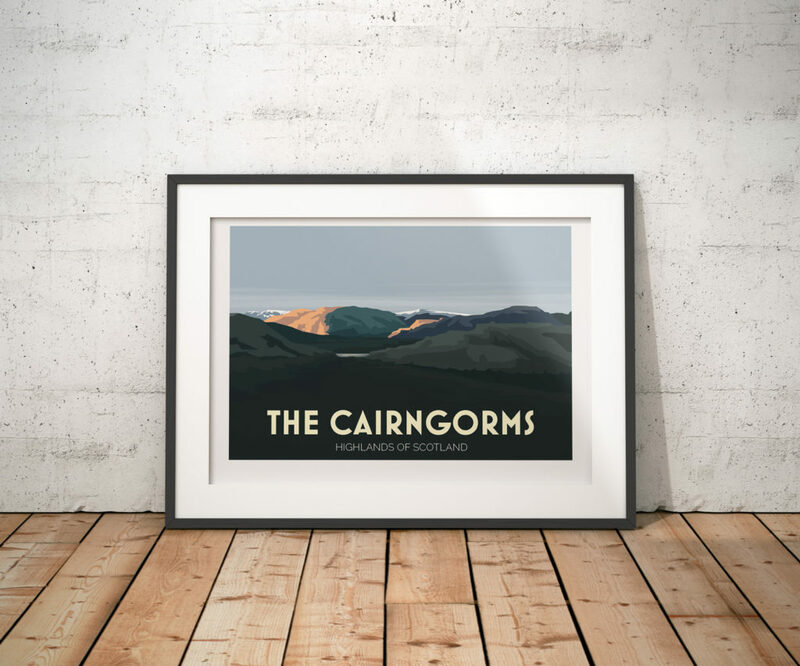 A few things spurred me on to do a print of the Cairngorms this week. Sophie Radcliffe an adventurer and explorer who I admire recently tweeted that she was off to her happy place for a few weeks; the Cairngorms. Then on Sunday, my beloved Countryfile featured the impossibly beautiful and well dressed Ellie Harrison crawling around the Cairngorms looking for mountain hares. I waited for a third sign. Six feet of snow? Free tickets on the Caledonian Sleeper? It never came, so I cracked on anyway. 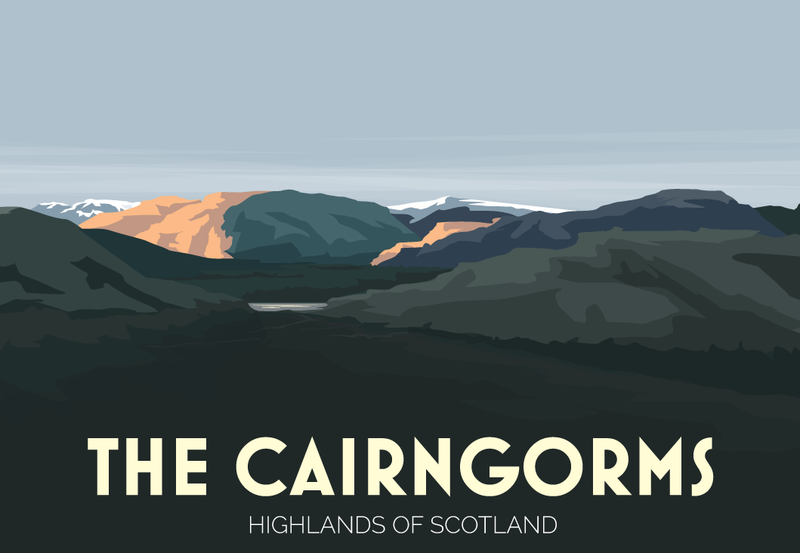 I’ve been to the Cairngorms before and would love to go back with the kids. Maybe I’ll wait until they’re too old to ask for a carry though – it’s a little on the hilly side. I’ve mostly worked on this print in the evenings as it’s been half term here in Bedfordshire. The lack of natural light did make choosing the dark colours a little tricky but I’ve had a good play around with them in daylight now and I’m really happy. I wanted the print to feel vast, and cold and wild. But more than anything I wanted to capture than sense of hope that I believe many of us feel when we see that chink of morning light reflecting off something glorious. As always prints available to buy on Etsy £12 A4, £20 A3. I love this image, your thoughts and the process it took you to get there. I am also waiting to go on the Caledonian sleeper! I’m Sophie’s Mum and I know she will simply love it. Keep up wth your wonderful work, fitting it in between children time, which is also important.